Despite the instant accessibility of recorded media content, there are many events that are still best enjoyed as a live broadcast. At the same time, such broadcasts are becoming increasingly complex, and with increased complexity comes increased cost. It's a fact that limits the number of events broadcasters can cover, and makes live remote broadcasts - where large geographical distances separate the production facilities from the televised events - a tantalizing prospect. The good news is that with the evolution of IP technologies, remote production of live TV events is now a reality with a number of broadcasters establishing remote production workflows for smaller events. The wider broadcast community is increasingly interested in these techniques for the potential to reduce costs and improve quality. Whilst the major technical challenges have been overcome, there is still room for improvement - specifically the transportation of audio, and issues of reliability, redundancy, and synchronization. We can already transport audio channels over long distances - the real issue is how it impacts the production workflow. Ideally, it shouldn't. The workflow should be the same for remote production as it is in a studio. One way to achieve this is to use the same stage boxes in the field as we do in the studio so that they connect to the console and are controllable in the same way. But how can we transport multiple microphone feeds, control signals, and camera feeds between stage boxes at a live event and a studio that is potentially hundreds or even thousands of miles away? IP networks are expanding everywhere and growing in capacity and value every year. Although IP networks were not designed for real-time media streams, they are already used extensively in some broadcast applications. Currently the most practical way of transporting audio on IP over wide area networks is achieved with both a codec to convert the PCM audio into a format that can be transported over IP, and a transport protocol. Most IP codecs use an Audio Contribution over IP (ACIP) protocol, which works on a receiver reconstructing a clock by looking at the rate of packet reception. Once an IP connection is established it's helpful to data-compress the audio stream in order to make better use of available bandwidth, reduce costs, or both. There are many compression options to help maximize bandwidth, but the trade-off is audio quality, latency, and processor cycles. Also, data-compressed audio can be more greatly affected by packet loss. The remedy for that problem is an error correction scheme such as FEC or a more expensive dual-stream mechanism. The latter involves sending a second identical, complete stream as a backup. If the two streams can travel through alternate network paths, protection can be very good. While error correction can increase reliability, it can also cause latency, which can be a real issue in remote productions where commentators at the venue are using in-ear monitor feeds. The way to manage this problem is to have audio processing at the remote codec, which allows monitor feeds to be created at the event site by combining the commentators' microphone feeds with program feeds and producer talkback from the production facility. This method ensures there is no round-trip penalty imposed on the commentators' own voices, and audible delays remain within tolerable limits. Having dealt with transportation, reliability, redundancy, and latency, we must now consider synchronization. Lip sync is always a concern, and if audio and video are subject to different data compression schemes, the problem can be much worse. Clever automatic mechanisms are required to compensate for differential delays. Solving the many technical complexities of remote production in a way that does not change or complicate the operators' workflows is our goal. 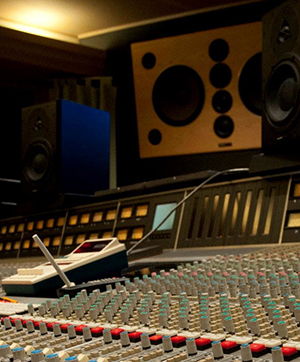 At Calrec, we believe the answer lies in creating mixing consoles that absorb and manage these complexities so that audio operators in the production facility can stay focused on the creative aspects of sound design and production quality. Despite its complexities, remote audio production is now a reality. It promises to reduce the costs of live production, even for medium- and smaller-scale events, making it possible for broadcasters to cover more of them and to offer more localized coverage.